This is next specjal object like Nokia3310 from collection: "fun & real". 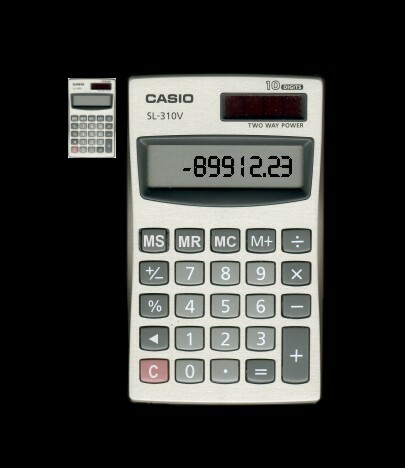 This time I give you The Casio Calculator. Big and real panel is opened from popup icon. WAIT FOR MORE FROM ADS-Poland !!! Very impressive and usefull app Diego - Looks great,is handy and works like a charm. I need talk like this! Because i have no power for new elements and themes. I love the look of it, however, I am unsure how it is supposed to work. I click the # keys but the readout never changes from a zero. Am I supposed to install a scipt or something? What did I miss? But like I said, looks beautiful on my desktop! It looks good, but I'm having the same problem as ws777. I press the buttons, but nothing happens. What am I missing? bl**y excellent design!! however like the other two posts mine doesnt work either! Hmm... I try many time to look whats happend bad, but i don't find any buggs on my computer. I use DesktopX v.1.2 build 296, and WINDOWS XP. Calculator is working under DXCalcView.dll, and DXGenCmd.dll, look for this two items in DesktopX program folder. Next - Under XP sometimes is problem with font. This font is standard included under W'98. Please redownload, or try found bugs in DesktopX configuration panel. I wish you good luck (still sory for my english)! My calc does not show any of the number entries. Any ideas? I am using version 2.10a.022 of DesktopX on Windows 2000. Ooops! I Try to install new DesktopX in 2.10 version and i reconstruct this calculator for repairing all buggs. P.S. : Maybe wen you try to change font - this fix the bug. Good Luck!